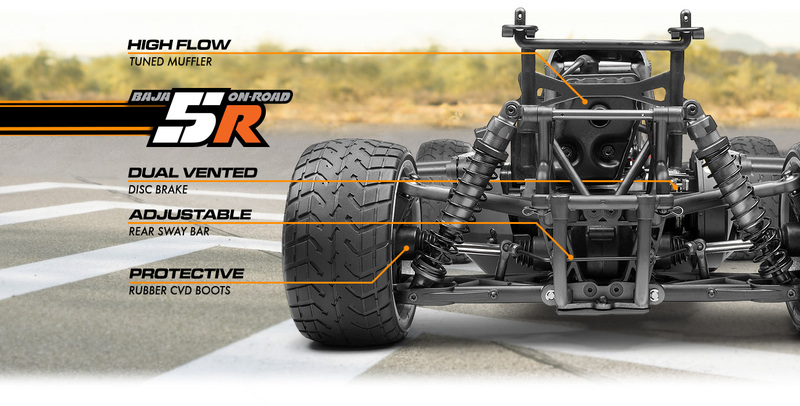 The Baja 5R On-Road takes the HPI Baja concept to all-new places: right to the streets! With a lowered suspension designed purely for on-road action, the Baja 5R is the perfect way to enjoy large-scale fun while burning up the pavement! 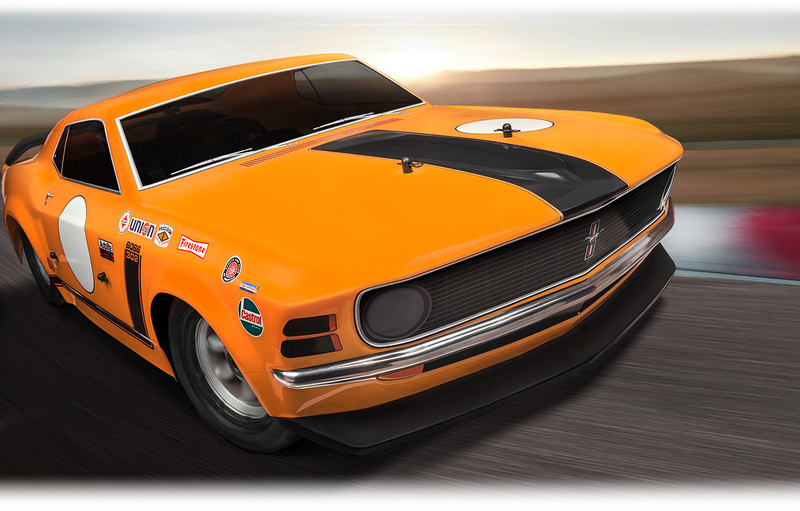 The iconic 1970 Ford Boss Mustang is the perfect fit for the rear-wheel drive large scale chassis, and the vintage 8-spoke wheels and Tarmac Buster tires are the ideal match for the Baja 5R's classic muscle car looks! 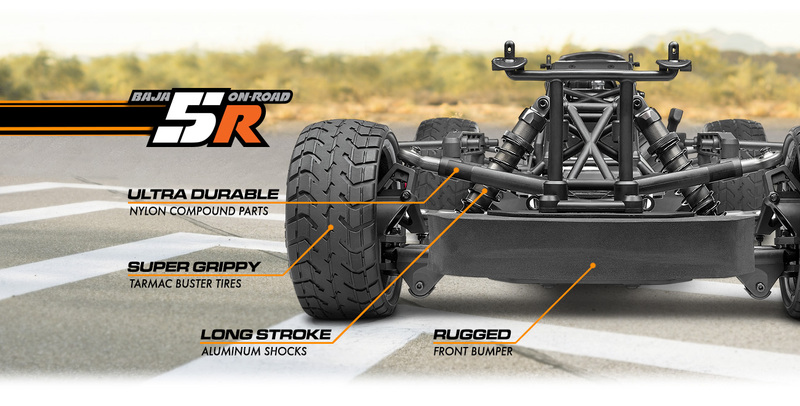 The suspension and drivetrain is based on the extremely tough off-road Baja 5B race buggy, so you know the on-road version will be super-tough in any situation, plus it will be very easy to find spares and upgrades. 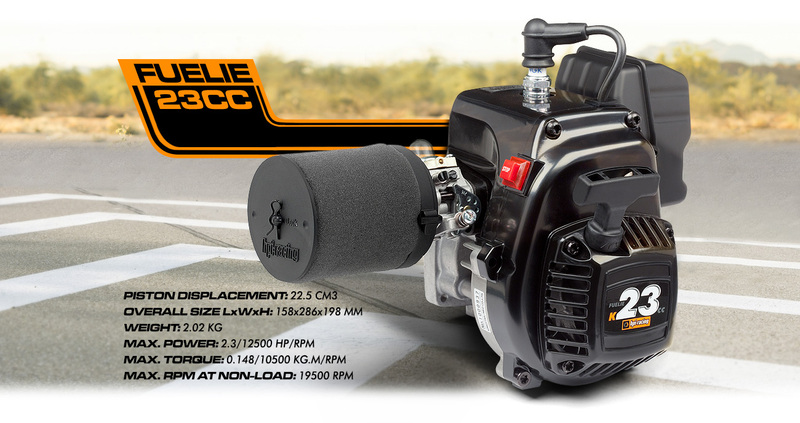 The Fuelie 23cc engine will give the Baja 5R wheelspinning power and enough top speed to make your pulse race! The Baja 5R On-Road: Baja-tough tarmac performance! 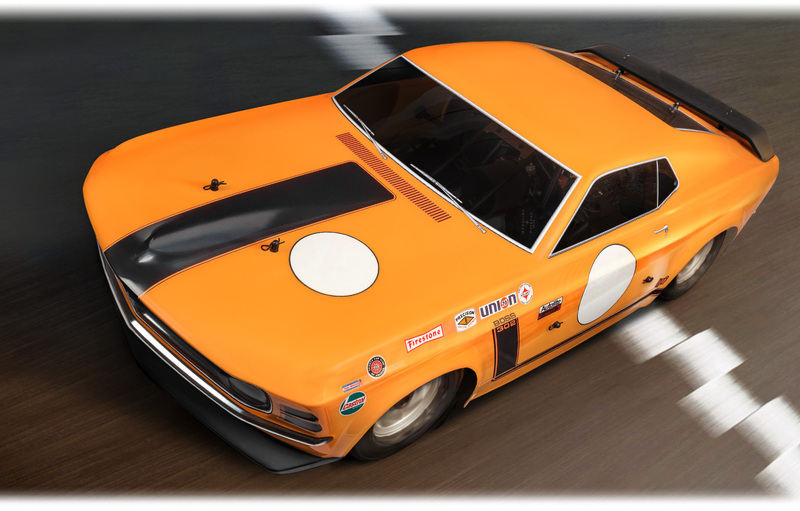 The first thing to hit anyone who watches a radio-controlled car in action is how it looks - how realistic it is, how big it is and how it drives - and in the case of the Baja 5R, it quite simply looks amazing! Its size and speed, combined with the sound of the engine and exhaust smoke, all combine for an experience you must see for yourself. 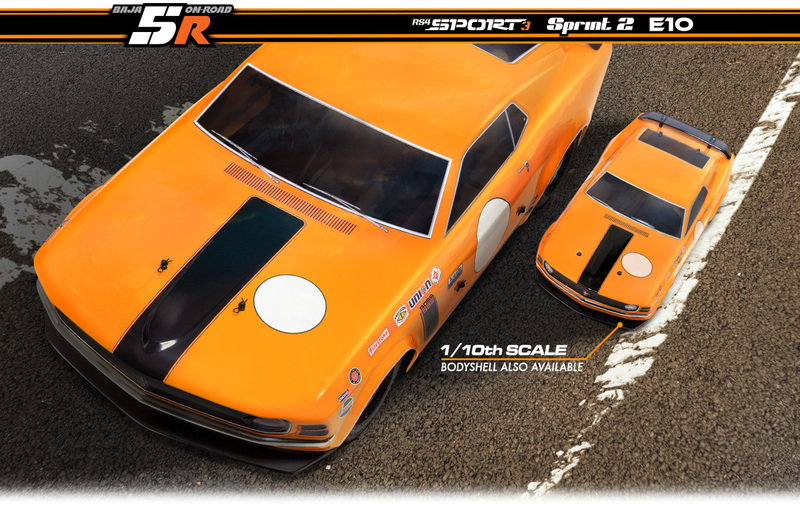 We've taken the classic muscle car styling of the 1970 Ford Boss Mustang and made it 1/5 scale - turning the Baja chassis into an amazing model almost 1 yard/meter long! Matched with satin chrome vintage-style wheels, the overall look is absolutely stunning - this really is a case of "the bigger, the better"! The Baja 5R isn't just loaded with go-fast goodies, either - it's packed with HPI Super Heavy-Duty parts that will keep you bashing and racing all day long. 9mm thick #104966 Super HD dogbones are the starting point of the Baja drivetrain upgrade - these are new, thicker and stronger to outlast the roughest rides and racing action you can find! Extra-wide rubber boots are included to keep the dirt and mud away. Getting the power from the diff gears to the new dogbones is the #104965 wide Super HD Diff Shaft that perfectly fits the increased diameter of the dogbones and at the other end of the dogbones are lowered versions of the One-Piece Rear Hub for extra durability and longevity. 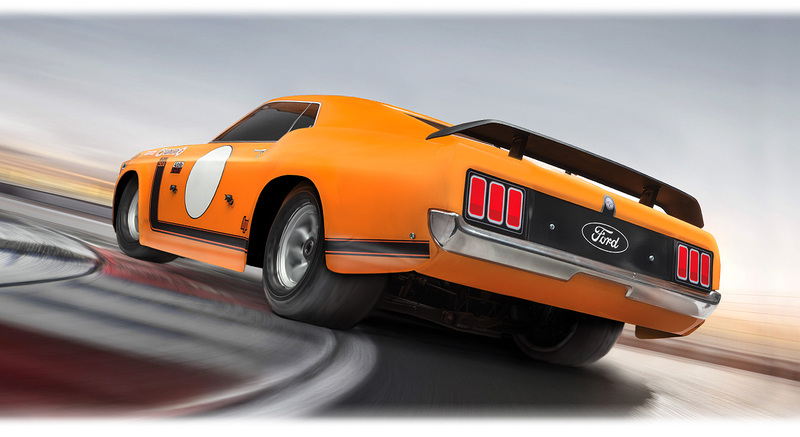 At the front of the car is a pair of lowered Heavy-Duty Front Hex Hubs for increased toughness at the front wheels. Pre-Assembled 1/5th scale 2WD on-road with Fuelie 23cc gasoline engine, 2.4GHz FHSS radio system, 3000mAh receiver pack and painted body.